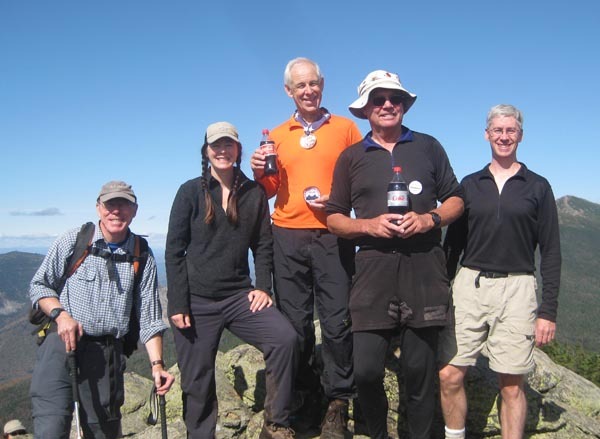 Al unknowingly began his Grid in 1988 and completed it October 3, 2010 on Mount Liberty. He was joined by a large group of about 25 friends. 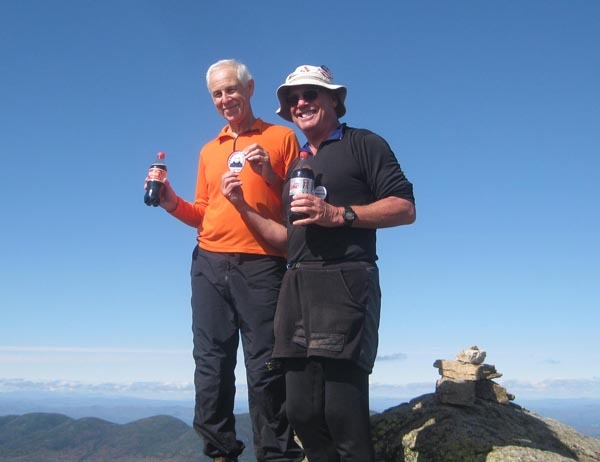 On the summit Al was awarded his Grid patch by Ed Hawkins. Al was joined on the summit by four other Grid finishers. From left to right: Peter Crane (Finisher #10), Mary Ellen BaRoss (Finisher #11), Al Aldrich (Finisher #12), Ed Hawkins (Finisher #2), and Jim Towle (Finisher #8). To view Al's Grid click here. 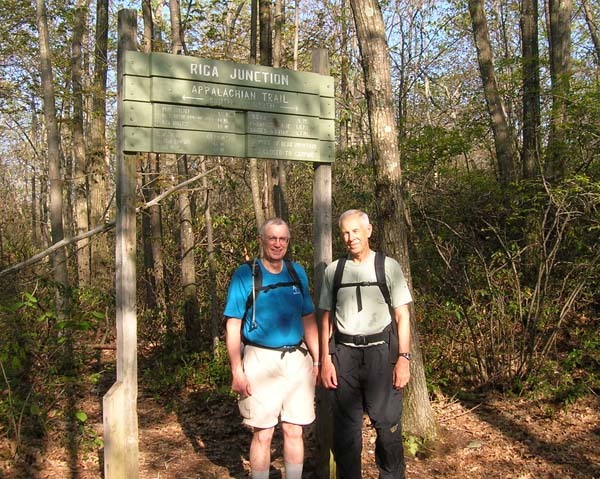 Here is a list of some of Al's other hiking milestones and accomplishments. Completed the Mount Washington Auto Road Race for 29 consecutive years thru 2012, 7.6 miles, 4650 ft gain. Al and Linda live in Jackson, NH with their dog Buster. Here are a few pictures from Al's adventures. Al, Linda and Ed on Boundary Peak, the state highpoint of Nevada. The group followed this peak with the highpoint of Arizona. 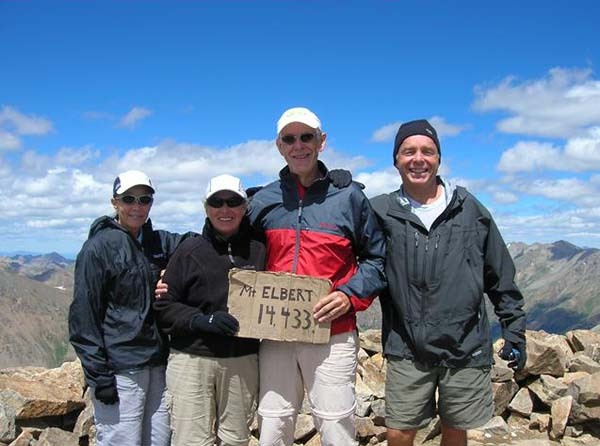 Al and Linda on Mt Elbert for the second time, 2006 and 2010, with friends Elaine and Geoff. 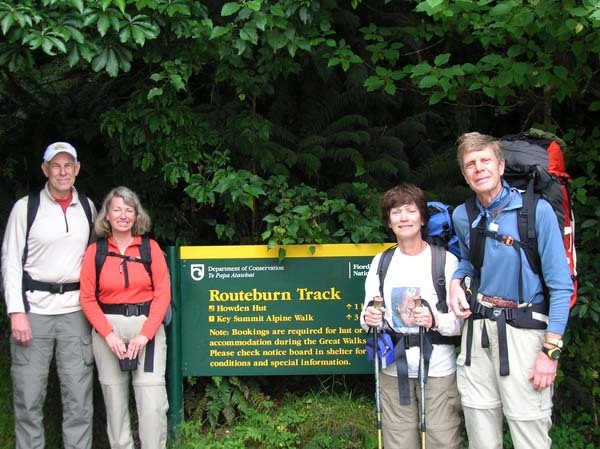 Al and Linda have also shared adventures with Geoff and Elaine in Peru and Nepal. Al with hiker Ray from Georgia. 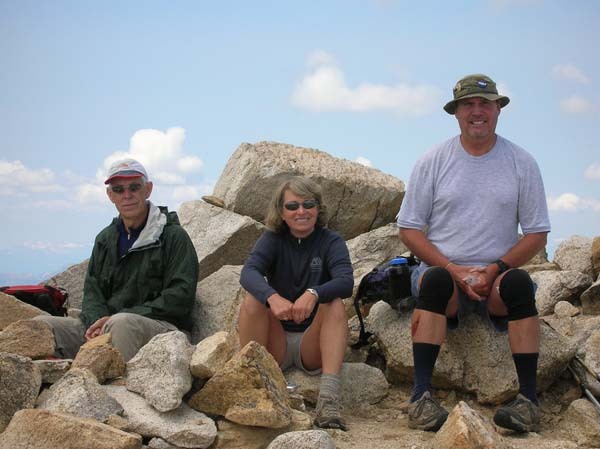 Al, Linda and Buster met Ray hiking into Harper's Ferry in 2006 and now section hike the AT together 2 or 3 times a year and hope to reach Baxter Peak on Katahdin in Sep 2013. Al and Linda in New Zealand with friends Sandee and Kin. Al, Linda and Kin have also teamed to reach the state highpoints of MT, ID, NE, OK, TX, NM and RI.